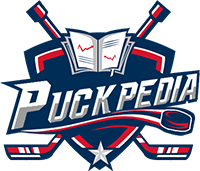 PuckPedia has the information you need on NHL Agents, NHL Voices, and NHL Coaches. Check out PuckPedia's Agent Leader-Board to see what agents are on top, and explore Voices to get the latest news and information! Check out PuckPedia's Agent Leader-Board. Who to follow for the latest on your team. Follow the most connected people in the game for the latest on your team! Coaches for each NHL team.